Three hundred years have passed since the Shadow Wars have ravaged Keldonia and the world of Aer, and the struggles of the past have long since faded into legends. In the Highlands of Fareach, Clans of Barbarian warriors have eked out a living in the harsh northern climate, constantly feuding with each other and raiding the wealthier Borderland towns. Fed up with these constant attacks, the Borderland Clans called on the Empire for help – a powerful realm controlling the land from the Scarlett Mountains to Cynehelm Valley and the Hoarwood. The Western Imperial Legion was sent to face the highland raiders, and with the help of the Borderland clans Iseal and Machnar, killed High King Brendan in the battle of Wyrm’s Pass. 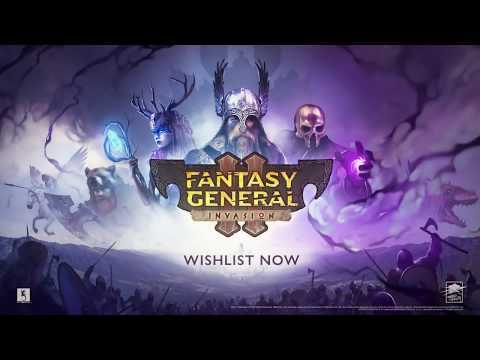 The upcoming Fantasy General II PC release date is 2019 in the US and the UK. Notify me when Fantasy General II is available.